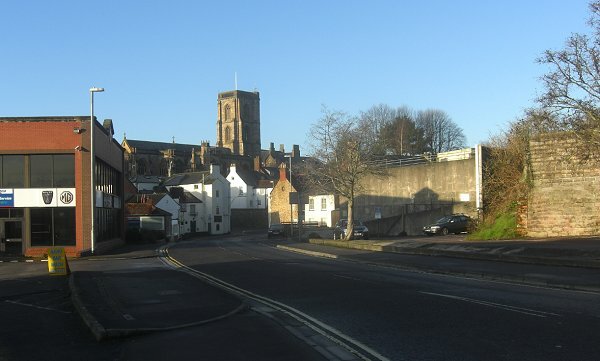 The earliest mention of today's Market Street in the records occurs in a document of 1355 in which it was referred to as Ford Street, simply because it had a ford across a small stream. At one time a small brook called the Rackel or Rackle, little more than an open sewer, had crossed the road close to the Pall Tavern and was shallow enough to be forded, hence the early name of Market Street for hundreds of years was Rackleford, or Reckleford - right up until the 1840s - not to be confused with today's Reckleford which was originally called Reckleford Hill. Alongside the Pall Tavern was a pond called the Horse Pool into which the Rackel ran, and then out the other side to continue eastwards. In the early part of the nineteenth century Market Street was known as Rotten Row, so called because horses were paraded there especially at the time of fairs. Rotten Row was named after the famous broad track of the same name in Hyde Park, London, which is still reserved for the exercise of horses. Rotten Row appears in the Parish Registers in 1814 and there are mentions in Pigot’s Directory of 1830. In 1840 it appears in the Register of Electors and in the 1841 Census. 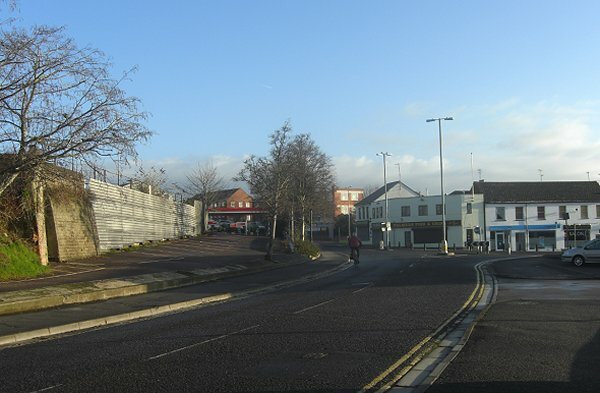 Although the market at the corner of Court Ash and today's Market Street, after which Market Street is now named, was started in the 1850's by William Palmer, even by the time of the 1871 census the enumerator still listed it as 'Reckleford formerly called Rotten Row' and it wasn't until the 1881 census and the 1886 Ordnance Survey that Market Street was finally established as the name. 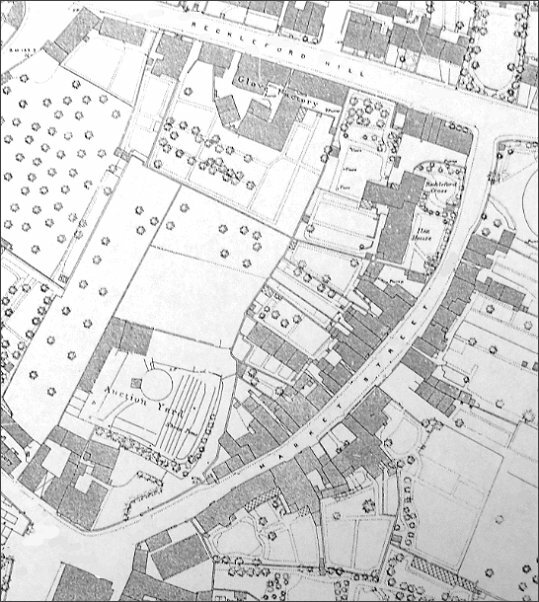 This map, based on the 1886 Ordnance Survey, shows Market Street named as such for the first time and running from its junction with Silver Street and Court Ash at bottom left to Reckleford Hill, today's Reckleford, at top right. 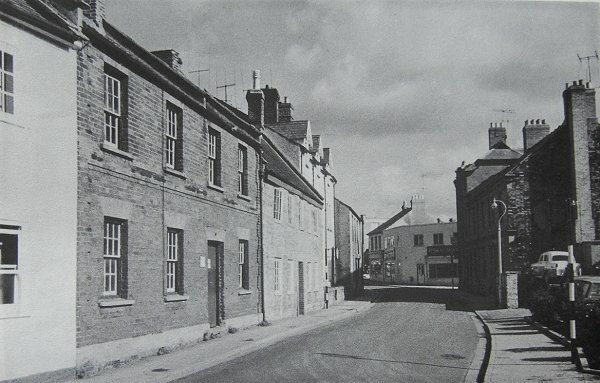 A 1960's photograph, taken from the junction of Market Street, Silver Street and Court Ash, looking up Market Street. Where the woman is crossing the road is the approximate site of the ford of the Rackel Stream and to the side of the Pall Hotel, where the car is, was the site of the Horse Pool. Just around the corner from the previous photograph, this moves into Market Street itself and at left is the market itself, established in the 1850's, which gave the street its modern name. 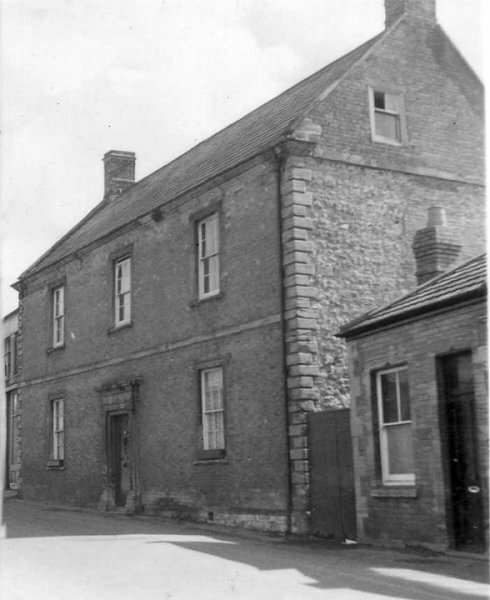 This photograph was taken halfway along Market Street, near the Market Street Inn which is just visible on the previous photograph between the telegraph pole and the lamp post. 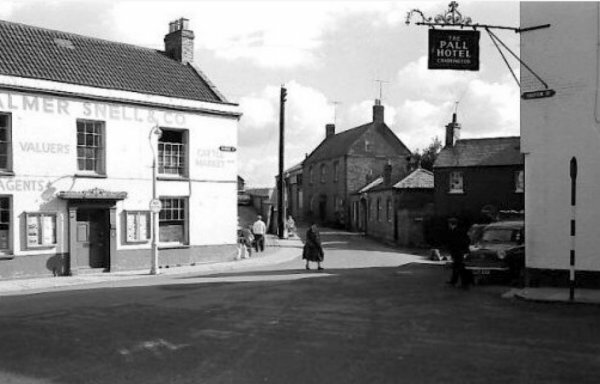 Just glimpsed at the end of the road in this photograph is today's Palmer's fish restaurant. 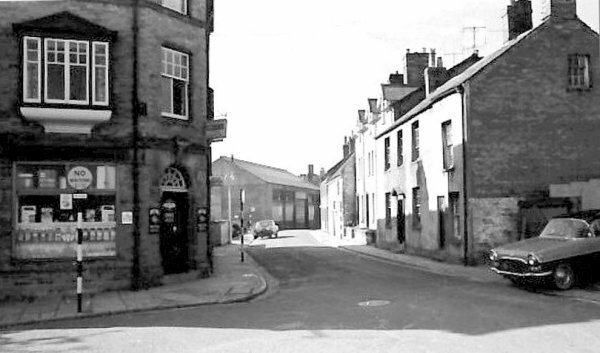 Market Street photographed in 1965 and looking back to the Pall Tavern and St John's church. 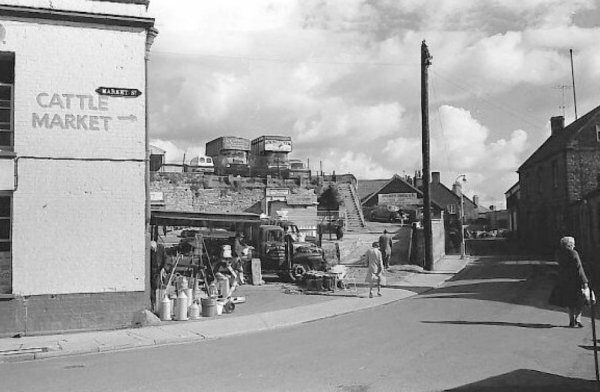 This photograph, of 1956, shows Market Street houses on the western side of the road, roughly opposite Vincent Street. 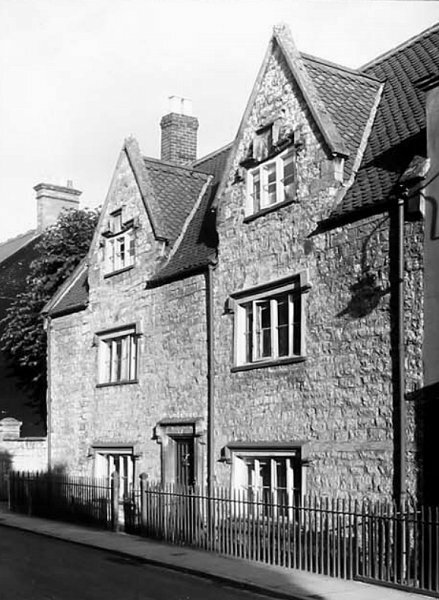 This 17th century building, seen in the previous photograph at left, was known as Chantry House. Photographed in 1942. 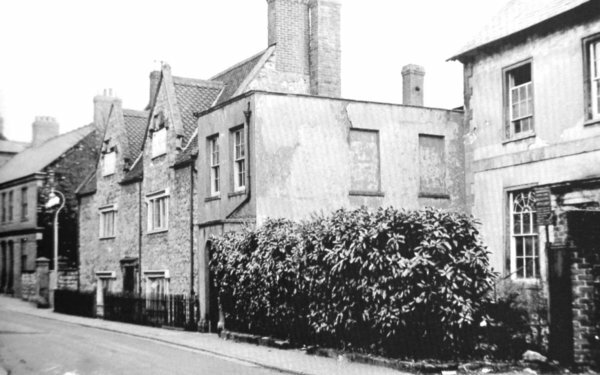 An early 18th century house in Market Street that didn't survive the 1960s. 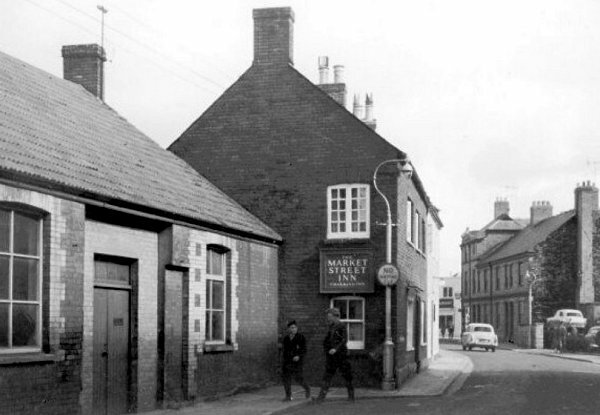 This photograph dates to the mid-1960s and was taken halfway along Market Street looking towards Palmers fish & chip shop on the corner of Vincent Street. .... and pretty much the same view in 2014. This photograph looks back down Market Street and is taken from its junction with Vincent Street at left. With the building of the Quedam centre this part of Vincent Street became an extension of Central Road - in other words the photographer has got his back to Palmer's fish restaurant. .... almost the same view in 2014. 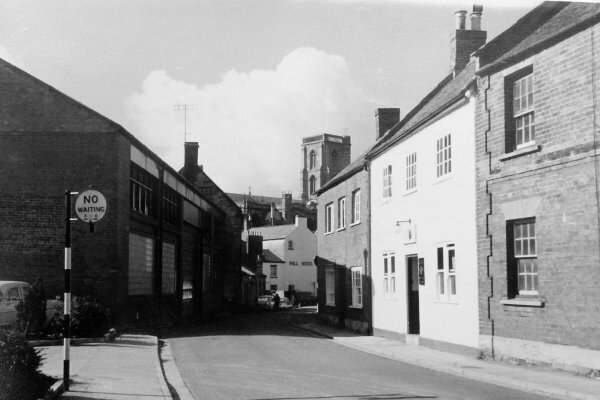 In this final photograph of the series, Palmer's fish restaurant is on the right and directly ahead Market Street joins Reckleford. At centre, facing Market Street, is Reckleford House. 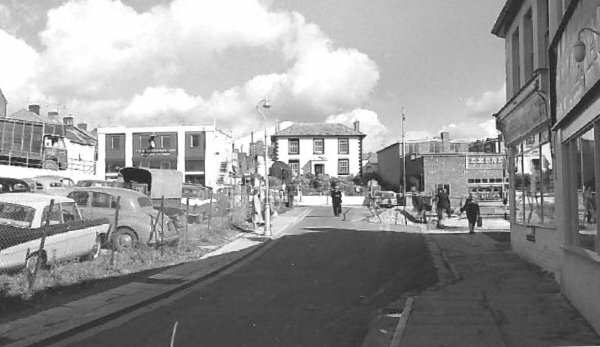 At left is untidy waste ground with cars parked on it with little change there in the last fifty years. What has changed is Reckleford - see the changes here.